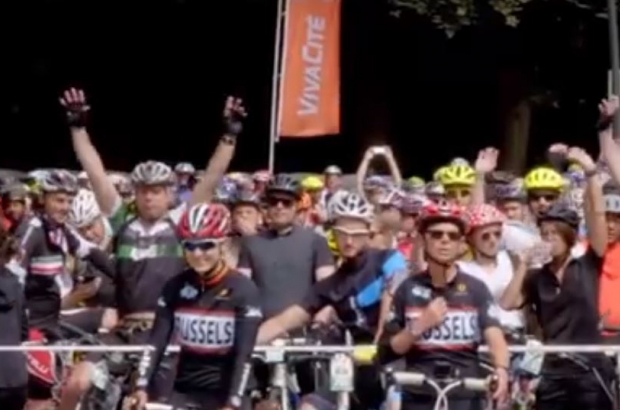 Brussels is preparing a dress rehearsal for next summer's Tour de France Grand Départ with the second edition of the BXL Tour race around the capital on 17 June. The 2018 route has been shortened from 50 to 28km and takes in the city's streets between the Place des Palais and the Atomium. Last year's inaugural edition of the race was fully subscribed, with 3,000 cyclists, and brought traffic to a standstill on a Sunday. The route involved the closure of many of the inner ring road tunnels and the Bois de la Cambre. Brussels' alderman for sports said at the time that the city would "learn lessons". This time, the inner ring road and Avenue Louise will be avoided. "Neighbourhoods will be less cut off," said Joel De Keyzer from Brussels' traffic police. "We've also moved the departure times earlier in the morning (10.00) to avoid having an impact on tourism and leisure activities in the early afternoon." Roads will be closed from about 9.15 until 13.00 or 14.00. "It's clear last year there were communication problems," said Els Ampe, Brussels city councillor for mobility. "But it was also our first event. It takes a while to get into the swing of things. The same was true for the Brussels 20km run." Registrations are open and cost between €10 and €15. Capacity this year is limited to 5,000 cyclists. An afternoon of activities will greet riders who finish the route at the foot of the Atomium. As I remember it the problem was with communication more than anything else. I happened to know that streets in my neighborhood are going to be closed an was fine. It's really not such a big deal when streets are closed on Sunday for couple of hours as long as everybody potentially impacted knows all the details.